The Honda Brand has again proved to be the Best Quad Bike Brand by launching its all-new 2017 TRX90X Honda Sports Quad Bike. It is very famous among beginners, who wants to start their long term relationship with quad bikes. 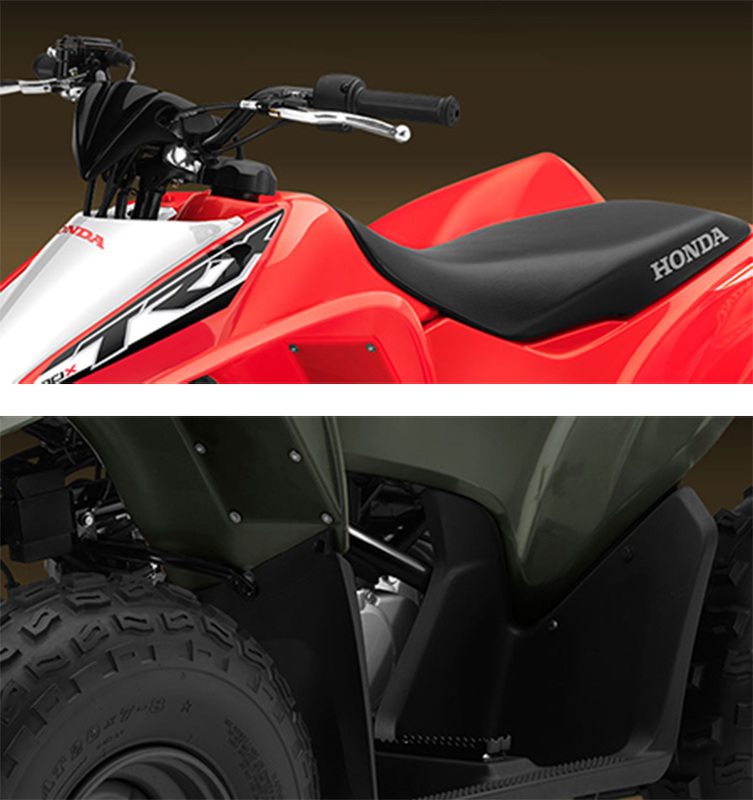 This ATV provides the sporty performance with its quality components. It features the powerful engine delivering the controllable speed and acceleration that best matches the requirement of beginners. Its engine features the rugged SOHC design with the powerband. There is no clutch transmission used, which makes its handling much easier for beginners. An effortless electric starter used in it gives an easy start. 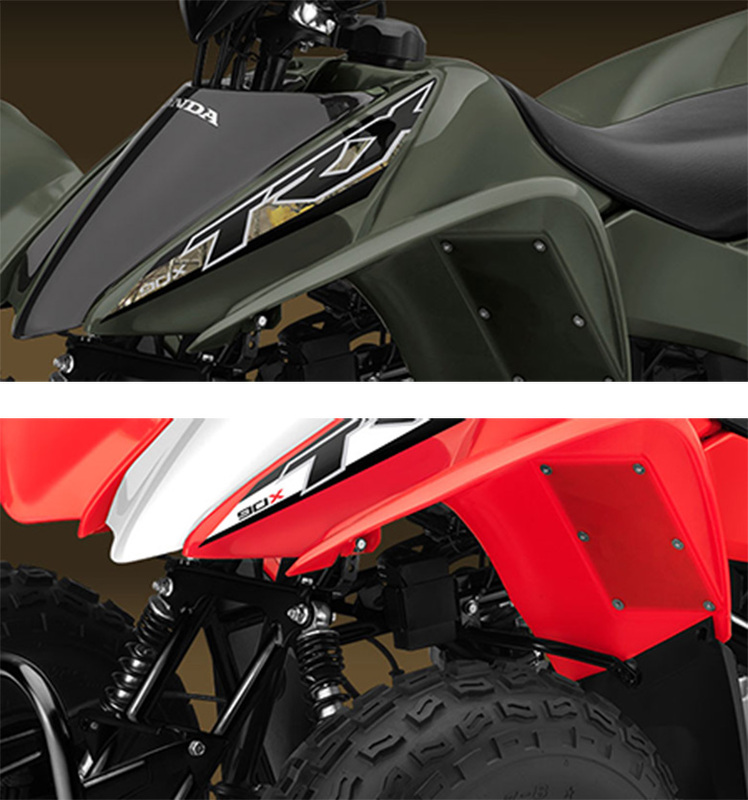 The new color combination of new 2017 TRX90X Honda Sports Quad Bike gives an attractive and charming look. Honda Brand has recommended it for the riders of 10 years of age and older. For more details read the owner’s manual thoroughly. The riders of new 2017 TRX90X Honda Sports Quad Bike less than the 16 years of age must be supervised by an adult. Following are the review of new 2017 TRX90X Honda Sports Quad Bike along with the price and specification. The all-new 2017 TRX90X Honda Sports Quad Bike comes with the powerful engine of 86 ccs containing the SOHC four-stroke engine. It is the durable and reliable engine delivering the smooth power. The new push-start button electric starter ensures an easy start without any trouble. 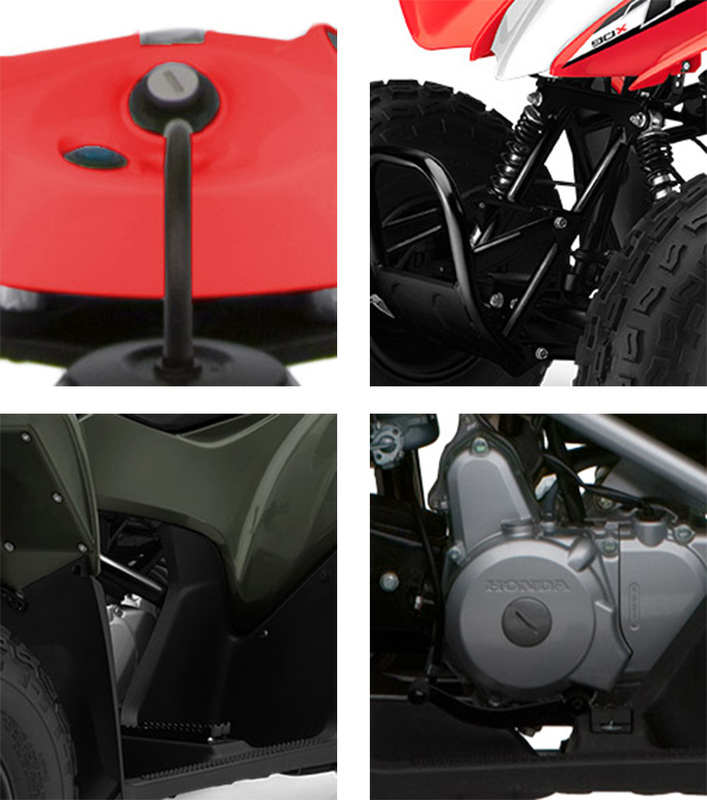 The durable automatic clutch is being used in new 2017 TRX90X Honda Sports Quad Bike making the shifting between the gears easier. The four-speed transmission is geared to provide the best power for riding conditions. 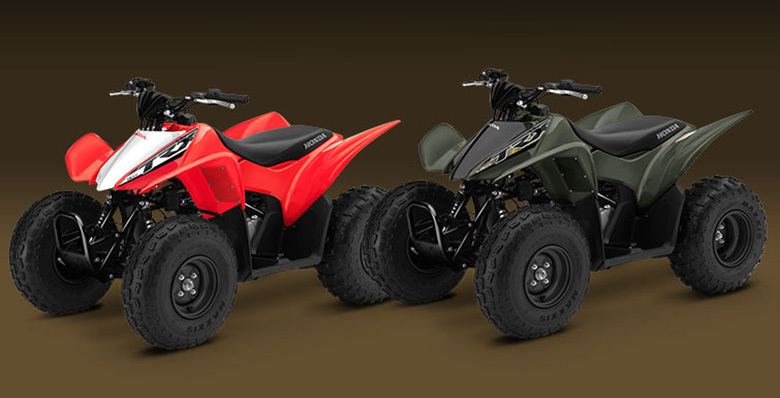 The keyed ignition system gives the sense of comfort to the parents especially when the kids are alone at home with this ATV. One can control the throttle limiter that will let you control the speed and power output. The new 2017 TRX90X Honda Sports Quad Bike comes with the strong and compact frame. The new color combination makes it look amazing. The position of seat and handlebar are incredibly adjusted to offer the comfort ride. The new up-front incredible suspension features make the pair of rugged shock absorber featuring the 2.6 inches of wheel travel for outstanding comfort. The rear part has the single-shock suspension delivering the all-day comfort with the trail-taming handling. The all-new 2017 TRX90X Honda Sports Quad Bike comes with an affordable price of $3,049 only. Note It is recommended for riders 10 years of age and older. The Honda Brand recommends that all Sports Quad Bike riders must take a training course and read their owner’s manual thoroughly. TRX90X riders younger than 16 years of age must be supervised by an adult. The recently launched 2017 TRX90X Honda Sports Quad Bike comes with incredible features giving the best output which is suitable for new riders. Each part is customized for best performance. The Color combination makes it look charming. So don’t wait much time and purchase one for your kids.